Knowledge Level Games News - Biomes Puzzle. P42 Release date EU 08.11.2017 year. Now in store , a new Planeta 42 Geography educational game. 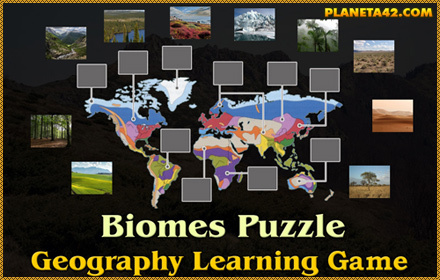 "Biomes Puzzle" is a small online game to place some natural habitats where they appear on the world map.